Racing Australia has unveiled its plans to enact a new horse racing regulation aimed at combatting illegal offshore betting agencies. The announcement will apply to all horse trainers and owners in the Australian horse racing industry, with strict penalties to be enforced by the regulator. The issues have risen to the scale of a possible seizure of all electronic communicating devices such as computers and mobile phones for those that break the rule. 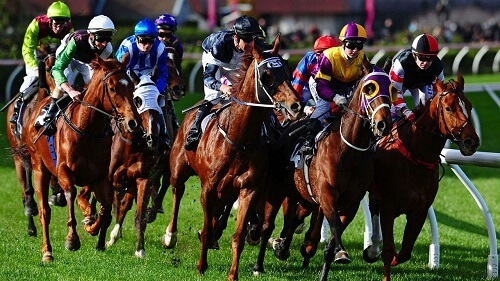 Seeing as how horse racing is the most popular sports bet gambling game in Australia, Racing Australia is bound to get an increase in revenue when this law comes into full effect. The Chief Executive of Racing Australia, Barry O’Farrell, advocated for the implementation of this new regulation, using damning figures to justify the law. In a 2015 report spear-headed by O’Farrell and the Australian Wagering Council, offshore betting operators were making a profit in the region of AU$400 million and estimated to increase to $900 million by 2020. It is argued that while Australia has a handful of legal sports betting sites, Aussie gamblers are attracted to offshore unregulated gambling sites under the guise of better odds and better products. Executive Director of Racing Wagering Australia, Stephen Conroy was confident that this ratifying of the new racing regulations would prove fruitful for Australia’s racing industry. “Tough consequences like these for engaging with the illegal offshore industry are a positive development for the racing industry”, Conroy explained. According to Racing Australia, punters suspected of gambling at illegal offshore online betting sites will face strict penalties. This law is particularly aimed at thoroughbred owners and trainers involved in the Australian racing industry. Citing unregulated offshore bookies as a ‘significant risk for the industry’, O’Farrell echoed the views of Stephen Conroy, suggesting that the new law would allow them to have more visibility of customer’s betting records. The new horse racing regulation is slated to officially become law on the 1st of August 2018. If you interested in betting with online casino Australia legal horse racing sites, you can find plenty of options here at Pokies.com.